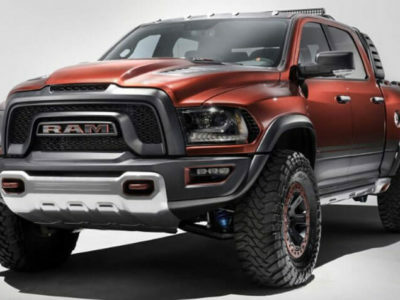 The new 2021 Ram Rebel TRX is going to be the most powerful full-size truck. FCA will build the new model based on the existing Rebel platform. To spice it up, the pickup is getting the strongest unit the company has to offer for such vehicle. It is a 6.2-liter supercharged V8 engine with the capability to produce 707 horsepower. 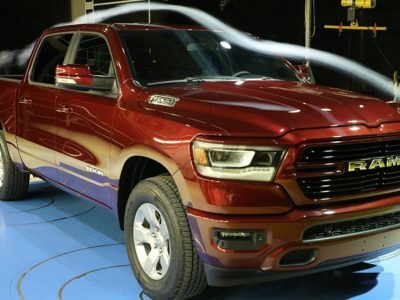 As you can guess, this will be Dodge Ram truck which will challenge Ford F-150 Raptor. Well, we won’t wait for too long before the response from General Motors. Chevy Silverado ZR2 is already being tested, by rumors. The company is not quite official about the 2021 Ram Rebel TRX. There are some hints about the arrival of the performance-oriented off-road beast. However, no one from the FCA didn’t confirm it. On the other hand, the company needs an off-road truck to end the supremacy of the Ford Raptor. Furthermore, rumors are saying they can hear from trusted sources that vehicle is coming. And finally, the truckmaker already has the concept. So, it is a matter of time when Dodge Ram Rebel TRX will come out. 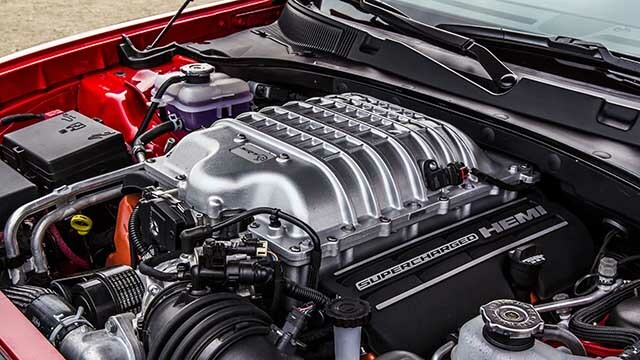 What is the Hellcat Engine? Under the bonnet of the 2021 Ram Rebel TRX will be a Hellcat engine. The most powerful SUV in the lineup is getting energy from this drivetrain, as well as two famous pony cars. A 6.2-liter supercharged V8 unit bursts out 707 hp for Jeep Grand Cherokee, Dodge Charger and Challenger. Additionally, the engine delivers 650 lb-ft of torque. 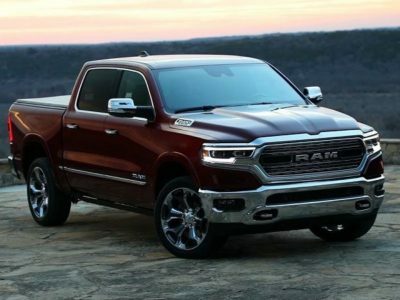 With such numbers, Ram full-size truck would become the most powerful pickup in the market. Well, there are some aftermarket tuning companies that will offer models with more ponies. But, this output is beyond the light-duty class. 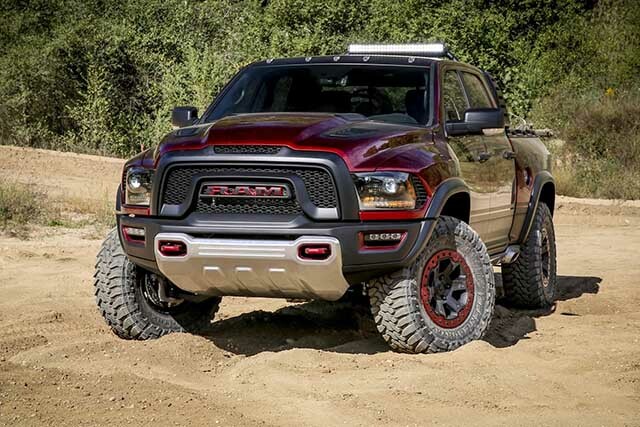 The arrival of the 2021 Ram Rebel TRX will make things more interesting in the off-road truck segment. Well, currently there is only one model, Ford F-150 Raptor. And yes, it is a very popular pickup. With a high-output engine, Raptor can achieve 450 hp and 510 lb-ft of torque. Special upgrades for tough off-road tasks include unique suspension, shocks, brakes, and of course, body parts (bumpers, side skirts…). But, the rumors about the 2021 Dodge Ram Rebel TRX are going to put Ford on alert. For a while, we know about Rebel concept. However, the company was never closer to production. No one knew what kind of powertrain this truck could use. Probably a favorite was a 6.4-liter Hemi engine. But, with rumors about the Hellcat unit being dominant nowadays, we are sure the FCA will try to stun all the truckers across the USA. Maybe some lighter version is possible since the 2021 Ram Rebel TRX outpowers Raptor for 250 hp. Even if the Hellcat engine comes with such power, its downside will be the price. On the other hand, some say the new Chevy Silverado ZR2 will create 650 ponies. This one is also based on an old concept. It seems like the Chevrolet Reaper is finally arriving as a ZR2 model. What’s more, spy photographers are claiming that the truck they caught is this one. If this is true, the Chevy Reaper/ZR2 will come out next year. The FCA is well-known for its hidden announcements of their upcoming vehicles. 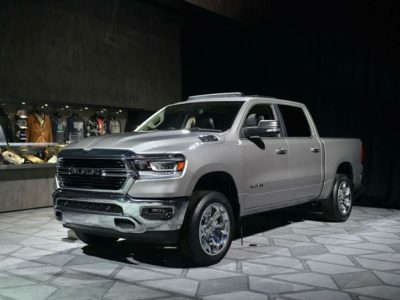 The new Ram 1500 had a premiere at Detroit Auto Show in 2018. Experts are together in opinion – this pickup stole the show from Ford F-150 Diesel. But, true fans are watching every detail. For example, the infotainment screen can hide something. In this case, on the display, we had a screenshot of a possible layout. Accidently or not, the time was set at 7:07. What do you think, random time or an Easter egg? 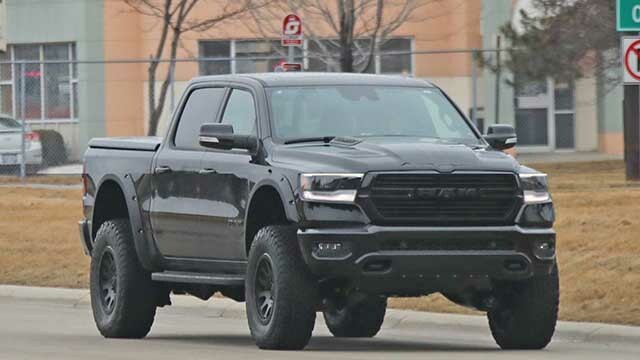 After this move, the rumors about the Hellcat engine for 2021 Dodge Ram Rebel TRX are louder every day. The new off-road truck will be based on the existing concept. 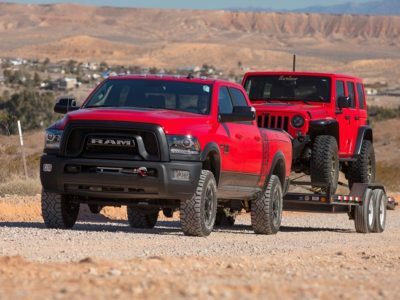 Ram 1500 Rebel TRX is the platform that will bring unique upgrades for the enhanced driving experience, especially on tough terrains. Unique styling will bring a more aggressive appearance. It is all about details, and the new pickup will get a lot of them. 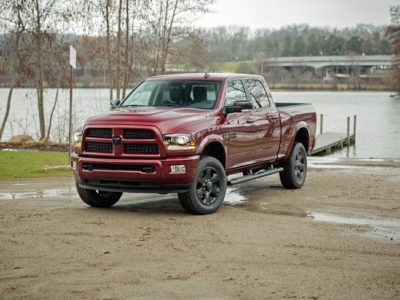 Bumpers, hood, lights, wheels – everything is bolder and meaner than on any other Dodge Ram truck. Of course, the drivetrain system with special suspension is the key to the entire project. The FCA equips its fastest cars with coil rear suspension system. 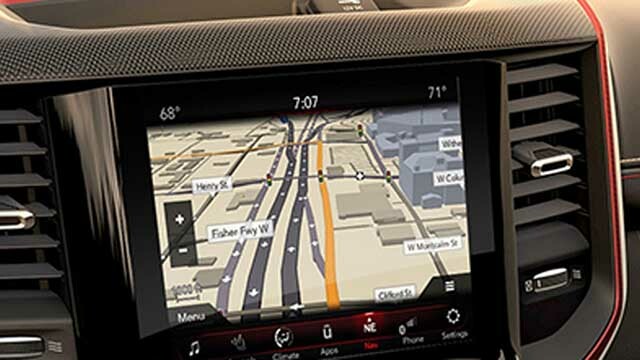 The concept is showing advanced features for the elegant interior. Be sure that the company will update it with the latest equipment and materials. Fans will have to wait more than a year to see the 2021 Ram Rebel TRX. The off-road truck will be part of the first update for a model launched for 2019 season. So, we must give some time to Ram 1500. The Rebel TRX concept becomes reality late in 2020, while the sales could start in two years from now.